Ciena® Corporation (NASDAQ: CIEN), the network specialist, today announced that Metrofibre NetworxTM (MFN), a South African independent telecommunications infrastructure operator, selected Ciena’s packet networking solutions to support its enhanced Ethernet managed bandwidth service offerings. 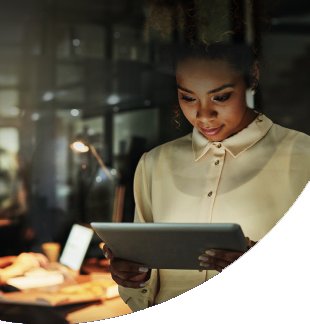 Ciena worked with its BizConnect partner Adcomtec to provide a core network infrastructure that allows MFN to quickly, efficiently, and cost-effectively deploy its MetroCONNECTTM Carrier Ethernet services to its growing customer base of services providers and enterprises in South Africa. MFN offers Managed Bandwidth Services from 2Mbps up to 1Gbps between the end customer and its preferred service provider. MFN’s network, an Open Access Metro Ethernet Network, is open to all service providers on equal terms. MFN currently provides ‘fibre-to-the-premises’ access to approximately 800 business in the Gauteng area and its services are being expanded to cover new markets and eventually reach more than 5,000 enterprises. MFN is leveraging Ciena’s packet networking solutions to provide more bandwidth at a lower cost and deliver end-to-end SLAs for its service provider customers, enabling consistent quality of service across any of the service providers chosen in its open access network. To improve network availability and expand the total capacity of its growing network, MFN deployed Ciena’s 3940 Service Delivery Switch and MEF CE2.0-certified 5150 Service Aggregation Switch. The infrastructure is based on 10G optical fibre rings, scalable to 100G, allowing the delivery of next-generation Ethernet services in a cost-effective manner and providing carrier-grade resiliency and reliability to support performance assurance guarantees for their end-users. The Ciena-based packet network utilizes G.8032 Ethernet Ring Protection Switching to maximize service availability on the network, providing MFN more effective interconnection between network elements, sub-50ms protection switching for all traffic, and increased network scalability. Adcomtec, a Ciena BizConnect partner, provided design assistance, support and technical resources. 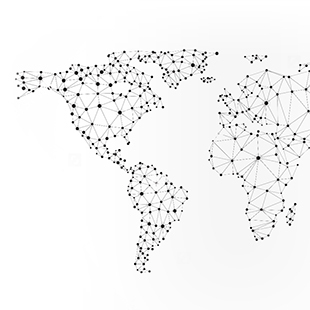 Ciena’s purpose-built packet networking platforms are used by more than 150 carriers, wireless service providers and cable operators worldwide. They offer the industry’s richest set of OAM capabilities and support a wide range of key industry packet transport protocols, such as G.8032, PBB-TE and MPLS-TP thanks to the virtual switching capability native to Ciena’s packet portfolio. 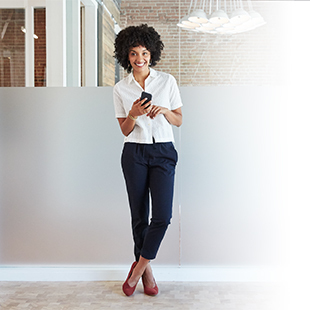 Ciena’s packet networking platforms are complemented by the company’s Network Transformation Solutions (NTS) and BizConnect partner program that offer a truly consultative approach to Ciena partners along with joint marketing and sales support. Metrofibre Networx (MFN) is a Carrier Ethernet (CE) Access Fiber Network provider that focuses on selling its services to South Africa’s service providers on its open access CE network. With over 28 service providers already partnering MFN, MFN’s success has been based on its flexibility to connect to a number of world-class providers, broadband services, content and application clouds all on the same CE fibre network, that enables businesses to choose the appropriate service provider or providers and integrate their business connectivity requirements to the most cost effective service solutions. MFN provides services types, from Metroline (E-Line –EVP / EVPL), MetroLAN (E-LAN EVP / EVPL), Metrotree (E-Tree EVP / EVPL ) to MetroAccess (E-ACCESS EVP / EVPL). These connections come in three flavours. The first is a pure fibre-based broadband connection, non-guaranteed, with a 5 to 100Mbps excess information rate (EIR) bandwidth. The second is a pure fibre-based business broadband connection, which provides 1 to 2 Mbps committed information rate (CIR) for voice and up to 5 to 100Mbps of EIR. The third is a guaranteed CIR bandwidth service from 2Mbps to 10Gbps offering carrier class SLAs from Basic, Bronze, Silver or Gold. In addition each Ethernet Virtual Connections (EVC) provides 3 Classes of Service (CoS) - basic, real-time and priority data and can be mapped into the IP Layer 3 DSCP CoS identifiers. Forward-looking statements. This press release contains certain forward-looking statements based on current expectations, forecasts and assumptions that involve risks and uncertainties. These statements are based on information available to the Company as of the date hereof; and Ciena's actual results could differ materially from those stated or implied, due to risks and uncertainties associated with its business, which include the risk factors disclosed in its Report on Form 10-K, which Ciena filed with the Securities and Exchange Commission on September 11, 2013. Forward-looking statements include statements regarding Ciena's expectations, beliefs, intentions or strategies regarding the future and can be identified by forward-looking words such as "anticipate," "believe," "could," "estimate," "expect," "intend," "may," "should," "will," and "would" or similar words. Ciena assumes no obligation to update the information included in this press release, whether as a result of new information, future events or otherwise.